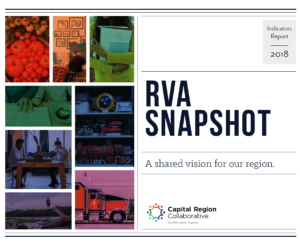 The Capital Region Collaborative brings together local government, business, and community stakeholders to achieve a shared vision for the Richmond Region. Our partners recognize our most pressing challenges extend across jurisdictional boundaries and that a cross-sector, cross-jurisdictional approach is needed to reach our region’s full potential. Learn more about our history and current initiatives. 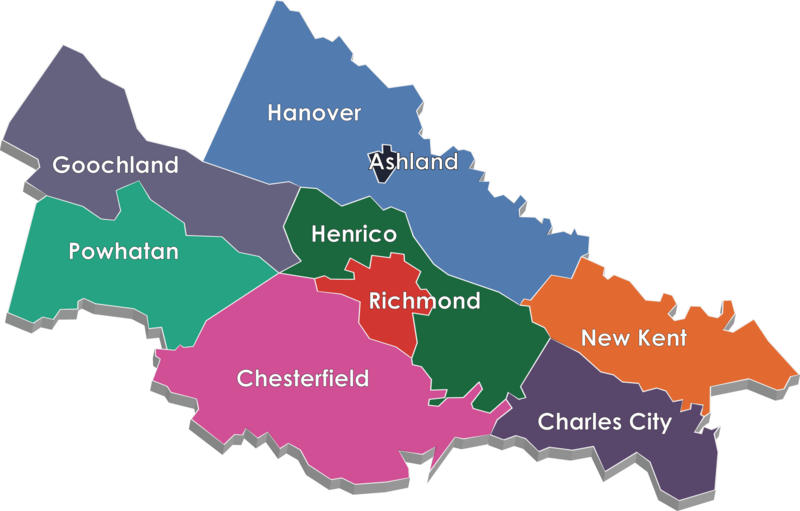 The footprint of the Capital Region Collaborative includes the City of Richmond, the Town of Ashland, and the Counties of Charles City, Chesterfield, Goochland, Hanover, Henrico, Powhatan, and New Kent. Lead the community in a shared vision. Our region identified eight priority areas as a framework to work together. We help ensure that all community stakeholders are working together towards that vision. Facilitate action teams focused on accomplishing specific goals for each priority. Champion collaborations across our region and share their stories of success. Provide resources and support to tackle our community’s biggest challenges. This includes leading the Regional Indicators Projects, incubating collaborative efforts, hosting learning opportunities, and more. Our work is overseen by the CRC Manager in coordination with ChamberRVA and the Richmond Regional Planning District Commission. We are advised by an Organizing Council comprised of business, local government, and community representatives. Each Priority Area has an Action Team of service providers and subject matter experts helping to move our community forward.